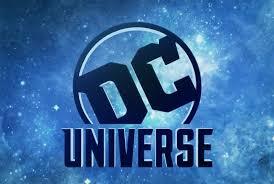 More Shakeups at DC ENTERTAINMENT! If you’ve been following the movements of DC Entertainment, you know that even before Henry Cavill flew away from the role of Superman, there’s been a lot of reshuffling at the exec level these days. Diane Nelson, former president of DC Entertainment and Warner Brothers Consumer Products, moved on from the company after 22 years, shortly followed by Geoff Johns, who parachuted into a pretty sweet writing/producing deal on the Warner Brothers lot a week later. 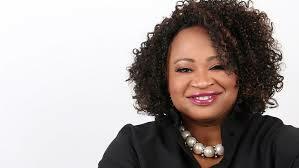 Now, the shifting deck of cards that is the executive office of DC Entertainment just got dealt a new queen: Pamela Lifford. She’s been named President of a new division, Warner Brother Global Brands and Experiences. DC Entertainment publishers Dan DiDio and Jim Lee will both report to Lifford. Given that Lifford was responsible for the immensely popular (and lucrative) “DC Superhero Girls” franchise during her tenure at WB Consumer Products, one can’t help but wonder if this signals a culture change at DC Entertainment – one that’s badly needed, if we’re to judge by the fact that they just hired notable skeeze Scot Lobdell to take on writing chores for Nightwing. Speculation will run wild about what this means for the DC Movieverse, of course - which has been playing catch up with Marvel, and stumbling, while the Berlantiverse continues to dominate on TV. As DC Entertainment launches its own content streaming service and news of ATT’s takeover of WB is finalized, WHAT DOES IT ALL MEAN? What do you think, talkbackers? Let us know in the comments!